More information about raftsmen can be found in popular histories than official documents. That’s not surprising, since their occupation existed before photography was even invented! This watercolour was produced around 1930 by Charles William Jefferys, a Canadian painter. It shows how hard these forestry workers laboured. 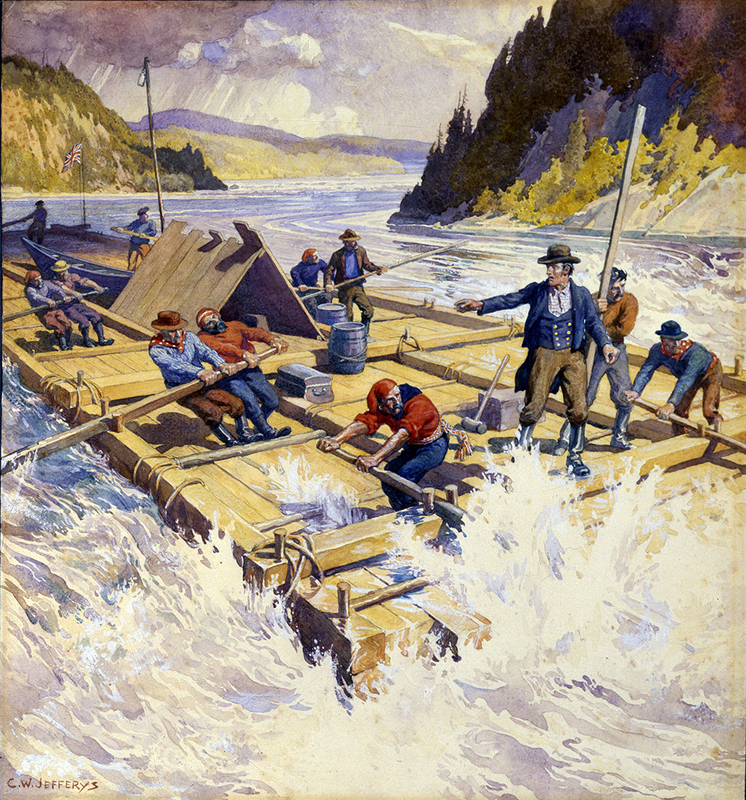 The logs cut in the camps in the Abitibi region were floated down the Ottawa River and ended up at one of the province’s two main ports: Montreal or Quebec City.